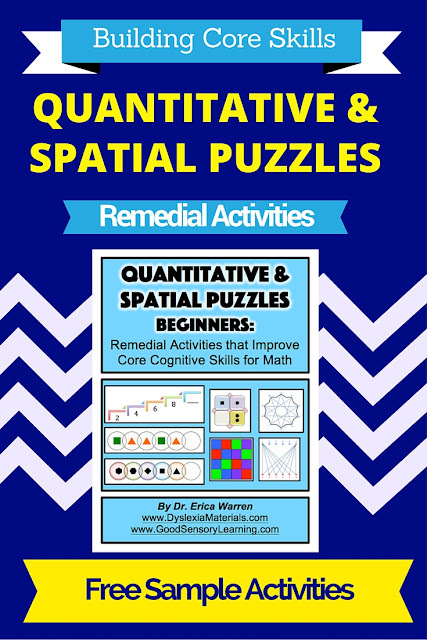 Strengthening math skills often requires students to develop quantitive reasoning and spatial skills. Finding activities that build these cognitive processing abilities and are also fun and engaging is tough. The trick is to motivate students with creative, yet manageable activities. Come get some free samples that develop these crucial skills. The activities can be used for remedial purposes, morning warm-ups, and math centers too! Download them by clicking HERE. If you would like to learn more about this publication CLICK HERE.